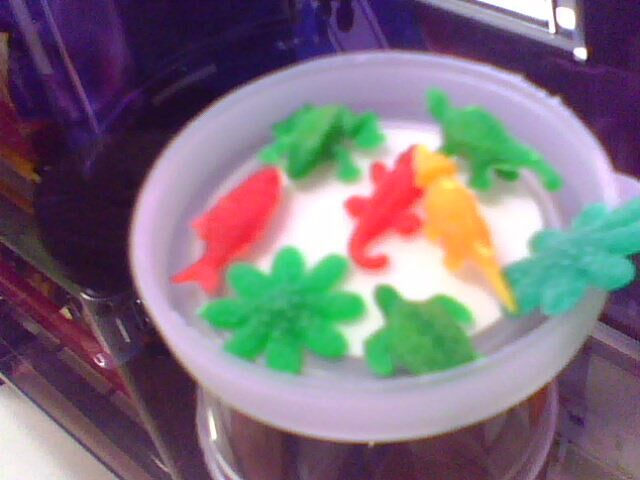 After I get out my eight creatures from the plastic pack, they were now ready to be submerged in water. All of them were really, really excited to grow! Do you imagine where will I put them? Do you foresee how they will be placed? Am I going to place them in a jar or in bottle? 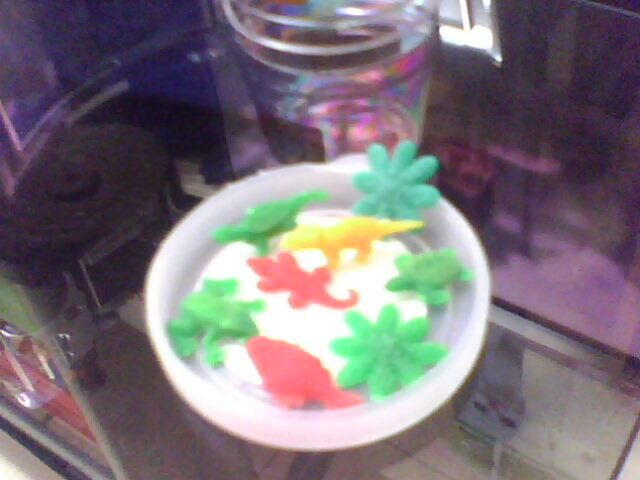 Or maybe you will thinking that I will place them in a basin of water just like I did before during my childhood?! Now do you already know where will I put them? Exactly...! You're correct! 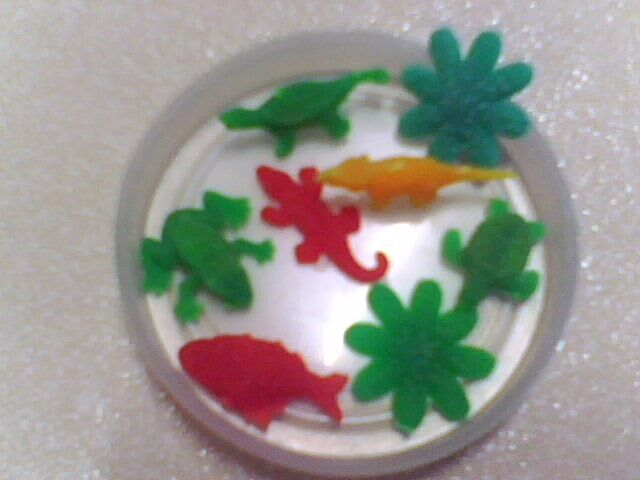 As you can see, they were preliminary putted on the cover of a circular mini-jar. Yup, that circular thing where they were placed was not a basin. Rather it was a cover of a mini-jar. And yes, I will put them in that mini-jar! But why did I put them in the circular cover? Am I doing something else?! Well actually, I am measuring the capacity of that mini-jar. I'm wondering if they eight can be fitted together in that jar! What's my findings...? !